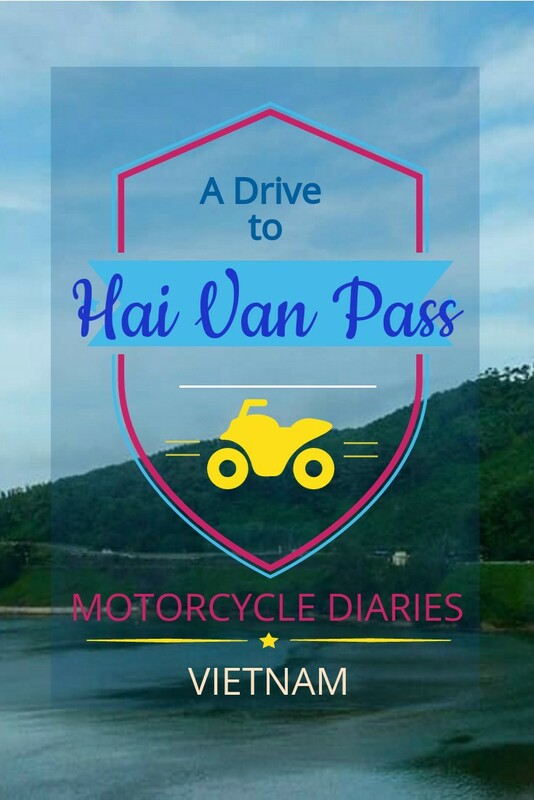 First of all, let me tell you how the Hai Van Pass drive came on my radar during my travel in Vietnam. I love driving motorbikes. I hate the traffic and also cars, but I don’t mind them as long as I am perched on a motorbike. 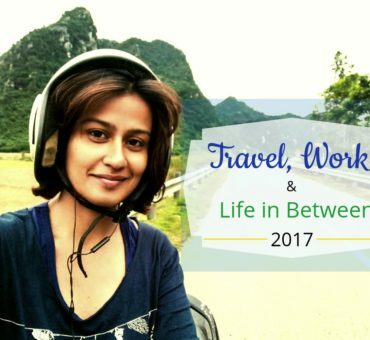 When I had to drop my initial thoughts of traveling entire Vietnam by renting or buying a bike, I opted for renting motorbikes in every place. I was not contented with the short drives that I got in every place, and I was looking for something bigger. I was in Hoi An when I first got to know about the passes that are along the coast and the fact that they are quite popular among the bikers. I had hit a jackpot! I wasted no time and inquired about Hai Van Pass in the hostel that I stayed. They arrange bike tours from Hoi An to Hue, where you get to drive the Hai Van Pass stretch on the bike that you rent that you can return once you reach Hue. For an additional 50,000 VND, they also carry one backpack to Hue that you can collect in Hue. I wanted to do this stretch on my own, but there was a catch. I wanted to head next to Danang before reaching Hue. So I didn’t want to travel to Hue for now. I had plenty of time in Hoi An, which became very dear to me of the places. So I planned to do a day trip to Hai Van Pass from Hoi An instead. 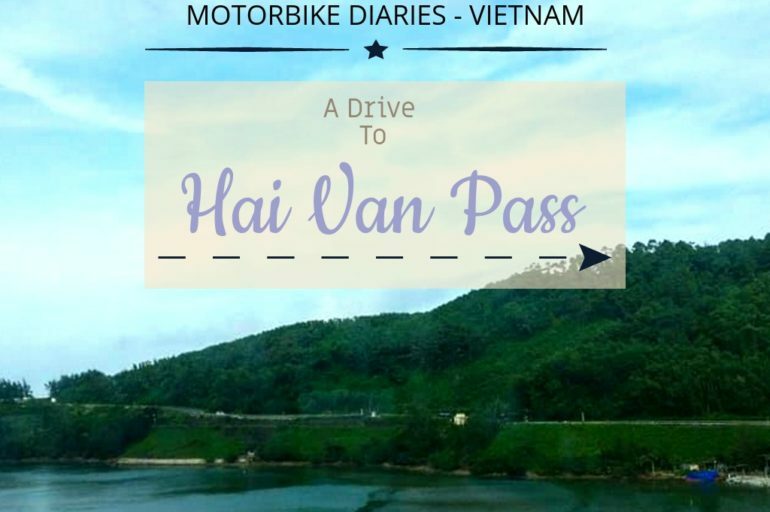 Read my drive to Hai Van Pass from Hoi An and exploring Danang. Below is the map that I followed. PS: It is just for reference and please don’t use it! 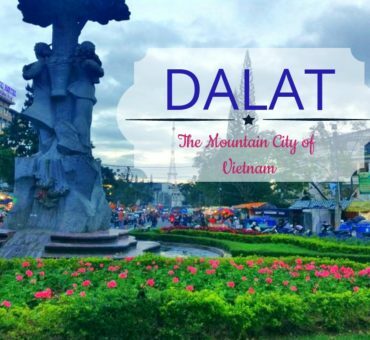 My plan was to explore a bit of Danang along with the mountain passes before staying there. I started early in the morning after a heavy breakfast from Hoi An. In no time, I was out of the ancient town of Hanoi where I stayed. Passing through the market, I was in the modern Hoi An town. I took the road that led me out of the city. The cool morning air along with the green countryside reminded me why I love driving! 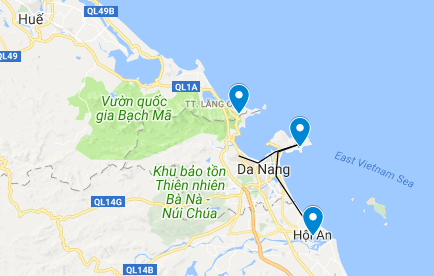 I was on the highway that connected to the next cities, and I noticed the sudden change in the landscape as Danang approached. 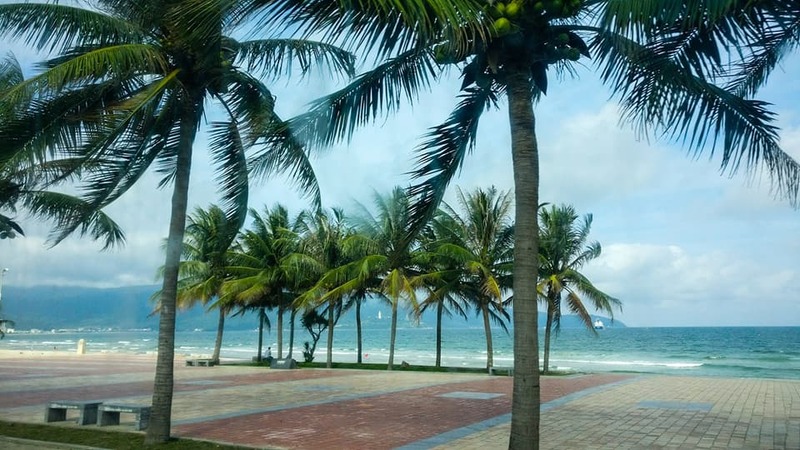 The coast was on my right and beside the beaches, you’ll find all the luxury sea resorts in Danang. The city looks upscale and well built, and I loved how close the beaches are. I mean, imagine hitting the beaches on the weekends that are so close to your neighbourhood! What else do you need for a lazy weekend, right? 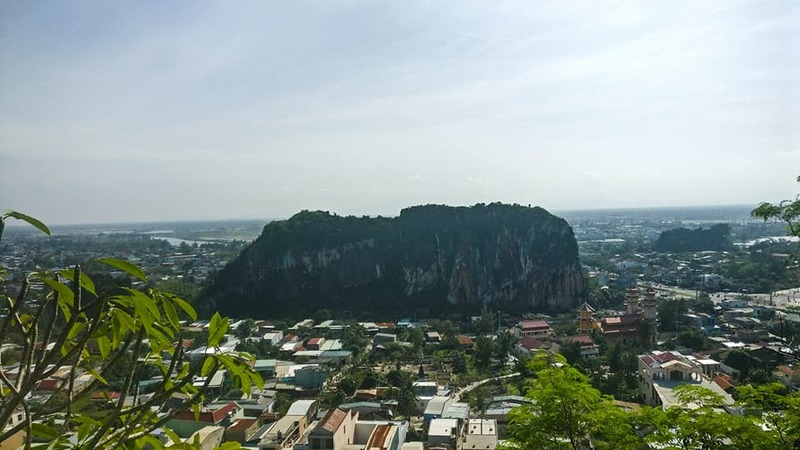 Marble Mountain is one of the most popular attractions in this region, and if you are traveling to Danang from Hoi An, this comes before the main city of Danang. I bought the ticket that also included one-way entry fee via the elevator. The place was crowded and the weather had turned hot already. I didn’t somehow feel good about the place as it seemed more like a tourist trap to me. Unfortunately what I thought felt true once I was up there. Don’t get me wrong. The place is good, and you can spend half a day there. But it is definitely either over-marketed or overhyped. And above all, it doesn’t look as pretty as the pictures that you see on the billboards of tourist agents in Hoi An! Next up were the beaches in Danang. It was a sunny afternoon, but the weather was cool because of the breeze, which is a perfect setting for being beach bum! I saw many of them idling on the shack and some playing in the water. I first went to My Khe beach, from where the skyline of Danang looks pretty, and on the far horizon, you see the mountains that lead to Monkey Pass. The entire stretch of the coast has different beaches as you get into the heart of the city. Non-Nuoc beach, Bac My An Beach which is the largest, Than Binh beach in the centre of the city, and as you venture farther, you come across Nam O Beach at the foot of the hills leading to the pass, which attains the name Xuan Thieu Beach that is the last of the coastal line. The Son Tra Peninsula at the end of all these is the gateway to the rides for the bikers. 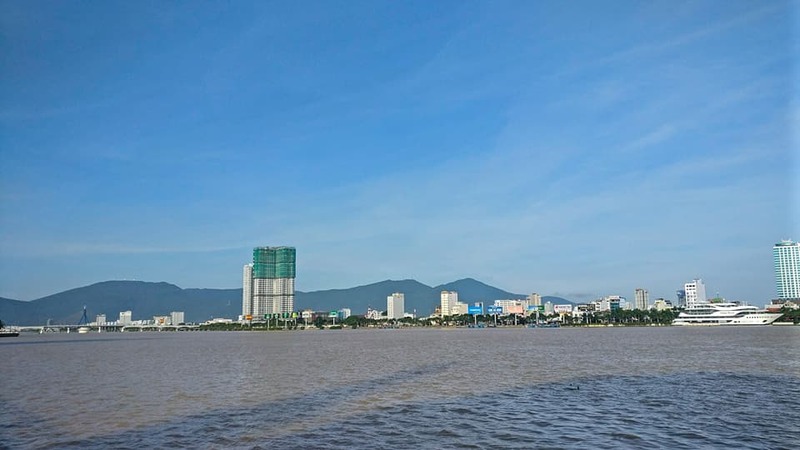 I spent some time cooling off in My Khe and Than Binh beaches and made a detour to head to the city centre to have my first look at Danang city. I must admit that I was impressed. 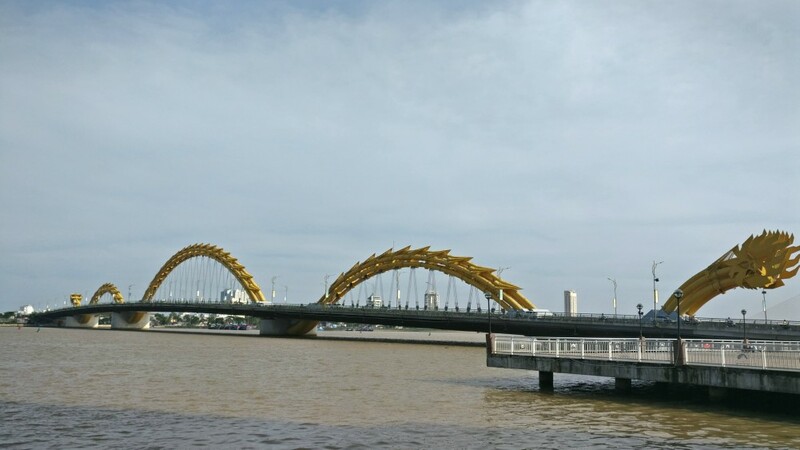 The Dragon Bridge, Han river bridge and Thuan Phuoc Bridge running parallel to each other on Danang river connect the two sides of the city, and the view of the skyline from each of these is unique and lovely. The most popular and the biggest is the Dragon Bridge of course, and to me, it looked better in the night than in the day! 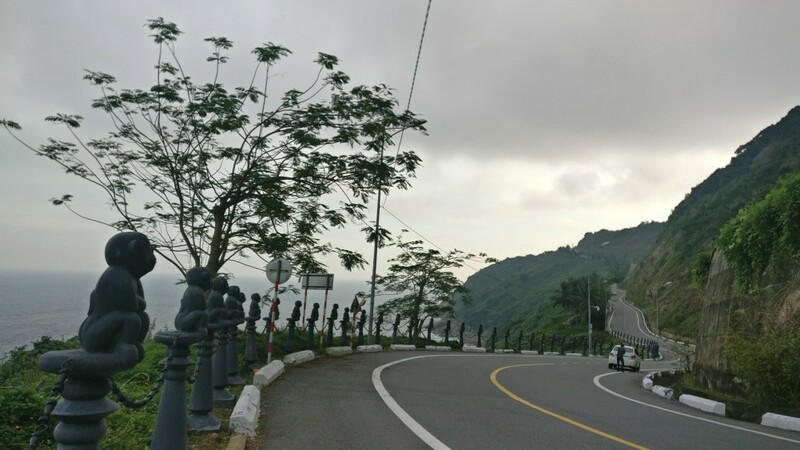 If you drive from the main city of Danang up to the hills, you pass through Monkey Pass, which was of strategic importance during the Vietnam – American war. But now more than its history it is the beauty of the peninsula and the curves of the road that entice bike lovers. It was evening now and the weather had gotten really pleasant. I found a place to sit and absorb the views of the roads, breathe in the scent of the ocean and the fresh air of the mountains – to just sit there and be present, which is my favorite part of travel. 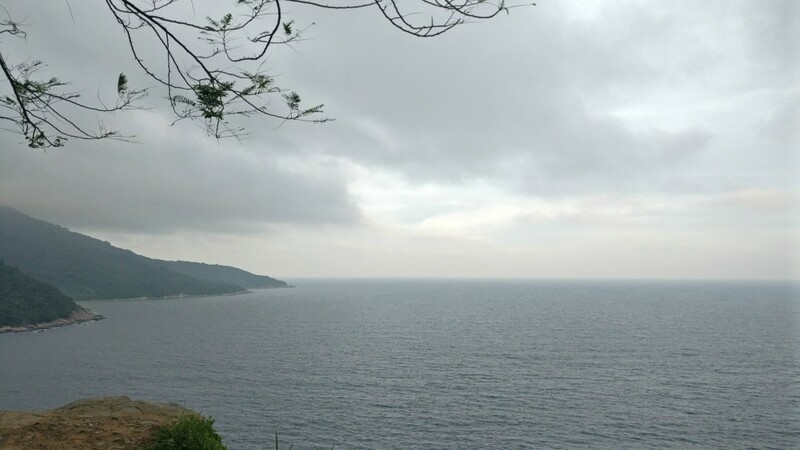 My next stop was the most awaited place, the Hai Van Pass. Hai Van Pass is the 19km stretch along Song Tra Peninsula and attracts thousands of bikers throughout the year. Why is this Pass so special? Because of two reasons – its treacherous route, which throws an adrenaline rush-inducing challenge and the rewarding views of the peninsula throughout the drive. The fact that the route curves around the mountains have more to it. The location of the peninsula is such that it receives powerful winds from the Chinese sea, which are capable of wrecking havoc, cause heavy fog (blurring the visibility) that has led to several unfortunate accidents as well in the past. But none of these deters the adventure seeking bikers, and I wasn’t spared from it either. Probably it’s the thrill and the surge of joy is what beckons, I guess. But I couldn’t complete the drive as I had intended as my phone’s battery started running low, and so was the fuel – I know, these sound so stupid, and I could have planned better (but what about my travel fails!). I turned around 5km while I was 5km away, and I had a long drive back until Hoi An. So I almost made it to the Hai Van Pass, and I was happy to drive all the way back to where I started, to the ancient town of Hoi An on the same day. My bike clocked an additional 104km in total that day as I stopped at the hostel. I was tired, but I hadn’t stopped reminiscing the views, the wind in my hair while driving or the smell of the sea – all of which made me content and smile! A drive that I’ll remember for a long time. As I mentioned earlier, one of the ways to drive through Hai Van Pass is to opt for the drive from Hoi An to Hue via Hai Van Pass, where you can leave your bag and collect it at Hue while dropping off your rented bike. Of course, this option means that you’ll have to skip staying in Danang. Many hostels and travel agents can arrange this for you, and it is a comfortable way of doing since you would be handed over the route map too. 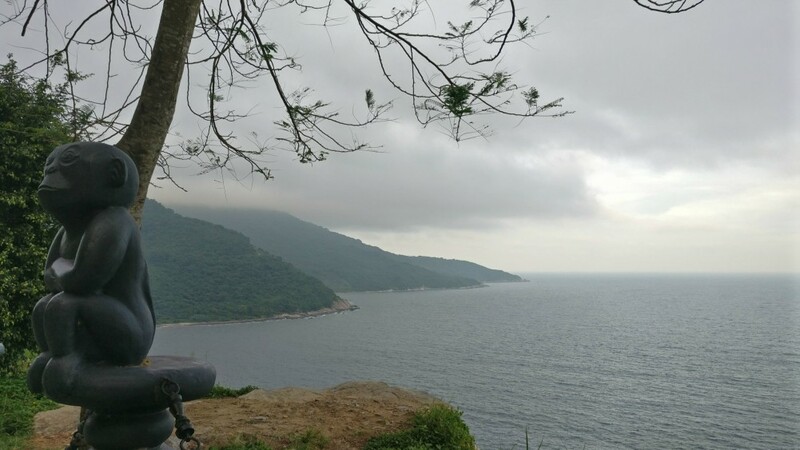 The easiest and the shortest way to make it to the Hai Van Pass is to arrive in Danang, and then rent a bike for the Hai Van Pass ride and Monkey Pass rides. It will take less than a day, and you can easily make it a day trip by stopping along the pagoda and the beaches en route. I took the bus to Hue after some days, and I also got a chance again to pass through the Hai Van tunnel road as well as the gorgeous views of the mountains from my window seat. Not bad at all after that drive and the blissful evening! Aye biker! Are you reading this? This would be one of your most amazing rides ever!